Key ideas in the fields of normative ethics, metaethics and applied ethics are explained rigorously and systematically. Individual theories are discussed in detail, before these positions are applied to a wide range of contemporary situations. The book presupposes no conclusions on the controversial moral questions about the treatment of animals, and argues for none either. Its goal is to help the reader better engage the issues and arguments on all sides with greater clarity. Even though Minimal Ethics for the Anthropocene is first and foremost concerned with life, it is the narrative about the impending death of the human population (i.e., the extinction of the human species), that provides a context for its argument. The Possibility of Practical Reason explores the foundational questions of moral psychology: How can any of our behavior qualify as acting for a reason? David Velleman argues that both possibilities depend on there being a constitutive aim of action. This volume's object is to furnish for students and general readers a compendious view of the ethical facts and principles as the author believes them to be established by the best accredited knowledge and thought of our times. The aim of this book is to present a comprehensive view of the different fields of Ethics of most importance for the understanding of the moral outlook and problems of our own time. The volume accordingly begins with Comparative Ethics. War was shocking to Erasmus alike on every side of his remarkably complex and sensitive nature. It was impious; it was inhuman; it was ugly; it was in every sense of the word barbarous, to one who before all things was a lover of civilization. If there exists on any subject a philosophy (a system of rational knowledge based on concepts), then there must also be for this philosophy a system of pure rational concepts, independent of any condition of intuition, in other words, a metaphysics. 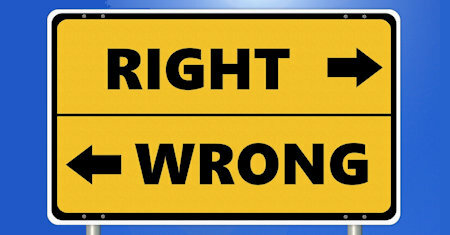 Ethics seeks to answer two questions: What is to be regarded as right and as wrong? Why should people do what is right and not do what is wrong? In other words, the questions are What is the content of morality? What is the sanction for morality? How should human beings behave toward one another? How must we behave? One of the most influential thinkers of the Western civilization, Immanuel Kant elaborates upon and defends his understanding of the logical underpinnings of all human morality. Spinoza uses the methods of Euclid to describe a single entity, properly called both 'God' and 'Nature'. From this follow the identity of mind and body, the necessary causation of events and actions, and the illusory nature of free will. Useful far beyond the small circle of scholarly experts. The Treatise has a fair claim to be the most important philosophical text ever written in English. After more than 250 years, Hume is still at the front line of philosophical inquiry. The book offers the systematic critical examination of Aristotle's views on the exactness of ethics. The author gives form to Aristotle's belief that knowledge of matters of conduct can never be free of certain kinds of inexactness.